Here is a list of the top magazines relating to the American Civil War. Civil War Times – Published six times a year. Offers biographies, battles, eyewitness accounts & period photos of America s greatest internal conflict. Civil War Times delivers the thrilling, extraordinary history of America s most deadly internal struggle, from biographies to battle stories, eyewitness accounts to period photographs. America’s Civil War – Published six times a year. 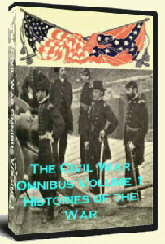 Offers coverage of the strategies, leaders and battles of the Civil War. Facts and facets of the war are accompanied by classical artwork, paintings by today’s artists, photography, illustrations and of battles and campaigns. Civil War Courier – Published 12 times a year. The Civil War Courier is America’s most read Civil War Newspaper. It features the latest news in the ACW community on preservation, reenactments, special monthly columns, book reviews and event listings. If it has to do with the American Civil War, it’s in the Civil War Courier. Civil War News – Published 11 times a year. Civil War News is a national current events newspaper offering extensive coverage of preservation issues, news, features, book reviews, events as well as columns on medicine, firearms, images and round tables. Annual special sections include Gettysburg and Civil War books. North & South : the Magazine of Civil War Conflict – Published six times a year. 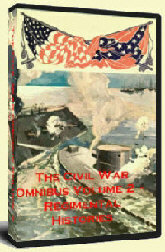 Contains Civil War history as well as new material based on original research. 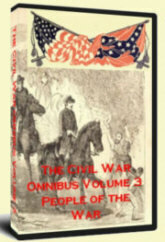 All five publications are great sources for the Civil War fan. They each offer their own unique slant on the war and activities relating to the war and all are top quality. Subscribing to any or all of them is sure to enhance the pleasure you derive from your Civil War activities and research. This entry was posted on Thursday, October 14th, 2010 at 1:54 pm	and is filed under Civil War Reading. You can follow any responses to this entry through the RSS 2.0 feed. Both comments and pings are currently closed.